For Valentine’s Day, I want a knife. No evil plans lurking anywhere, I swear! I just want a knife that doesn’t mush my daily bread. I’ve made this bread many times. I wanted to post today because I acquired some new whole wheat flour. It is from a small mill in Quebec. It’s stone-milled until very fine, and it’s organic. And kind of expensive. You know those little flakes of bran in every bag of whole wheat flour? (at least the bags here in Canada) They cut into the gluten of the dough and prevent a nice high rise. 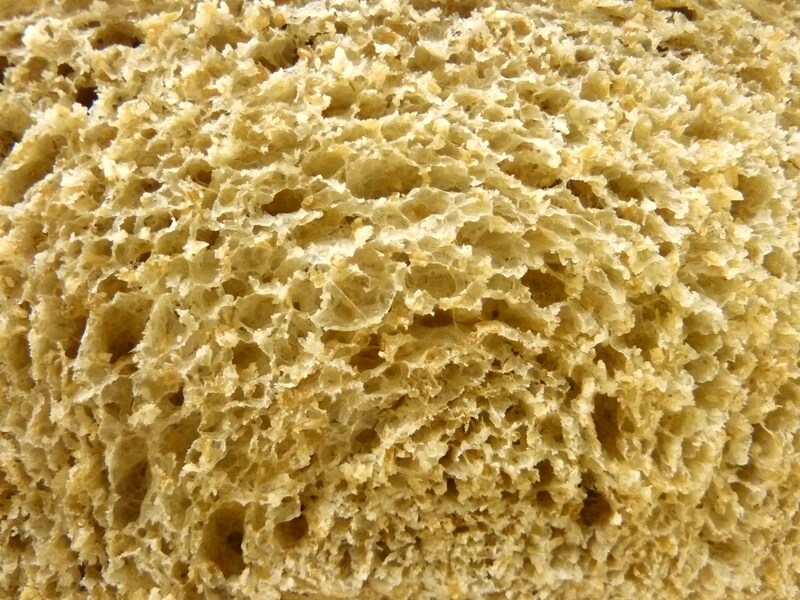 And here is a crumb shot of a previous loaf so you can see the bran flakes for yourself. So I thought maybe if I get a specially milled (and expensive) flour, it would be better. And so it was. The loaf rose beautifully and had the fine crumb of a white loaf. Exactly the texture I was looking for. But the taste? Hm, it lacked the heartiness of traditional whole wheat bread; and was it my imagination, or did this loaf stale faster? 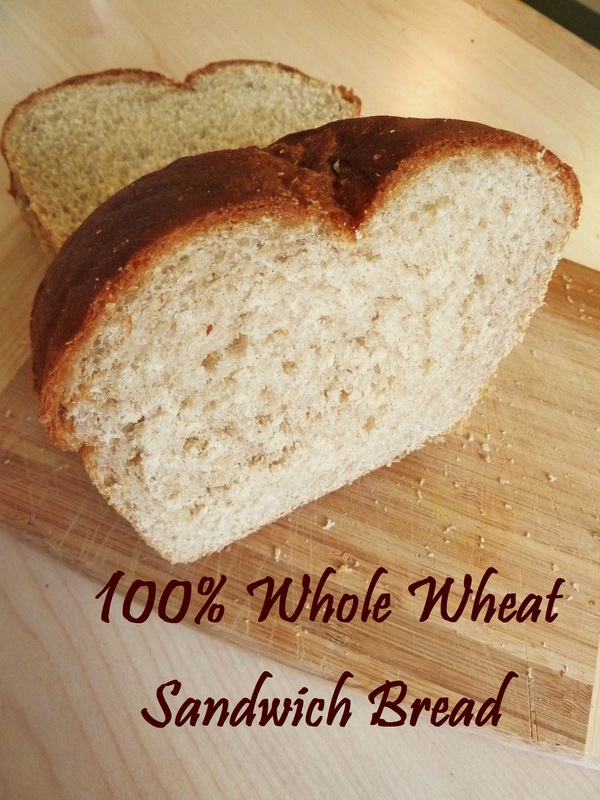 I know some people don’t like the taste of whole wheat because it is slightly bitter, but I do! What to do? Taste or texture? To be or not to be? Note: When I came to school this year, I actually brought a 25lb bag of KA all purpose. If they sold KA here in Quebec, I’d definitely try that. 1. Pour water and milk into a large bowl, sprinkle yeast into it. 2. Stir in 3 cups of flour and all the rest of the ingredients. 4. Mix to form a cohesive mass. 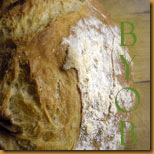 Now, depends on where you are and which season it is, you may need more or less flour. Just work in the flour until you get a soft dough. 5. Knead for 5 minutes, adding extra flour as required but try not to add too much. 6. Let rest for 2 mnutes and knead again for 5 minutes. 7. Put into an oiled bowl and let rise until doubled in bulk; this can take from 1-2 hours, depending on temperature. 8. 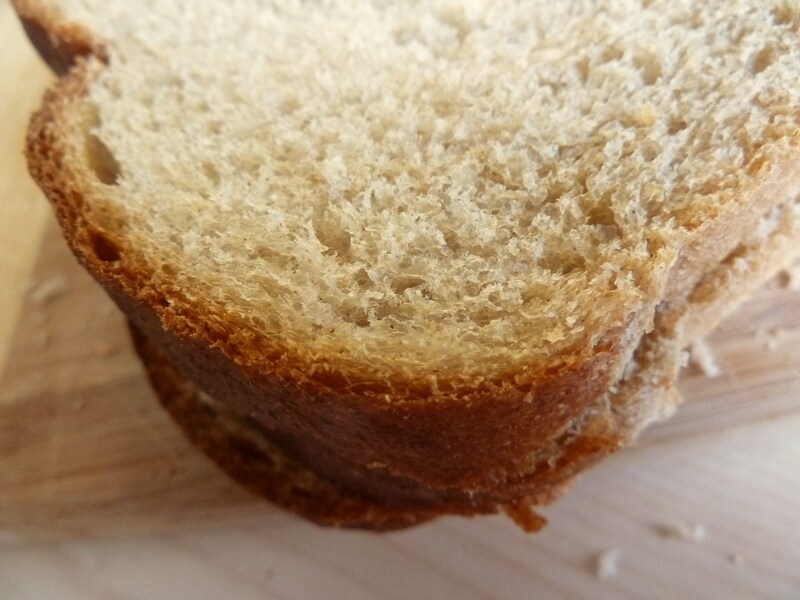 Degas and form into a sandwich loaf and place in a greased 9×5 loaf pan. 9. Let rise again until almost doubled, about half hour to one hour. Make a slash down the center, if you like. 10. Towards the end of the baking time, preheat oven to 350 degrees F.